I have been a vegetarian since I was a kid, nearly 25 years now, and I can honestly say that I have made probably hundreds, maybe even thousands of different tofu recipes. I’ve fried tofu and made the most delicious sandwiches, like this glorious vegetarian version of Bánh mì. I’ve put tofu in smoothies to make them creamier and to add that extra kick of nutrients. I’ve even made desserts like chocolate pudding using tofu as the main ingredient. Seriously, I’m no stranger to the versatility and nutritional value of tofu. But for all my years of tofu consumption, I have never thought to make a beauty recipe using this staple ingredient. Surprising, since as you know, I have a penchant for smearing food on my face. I’m really kicking myself for waiting so long to try this. Let’s just go through some of the basics, shall we? 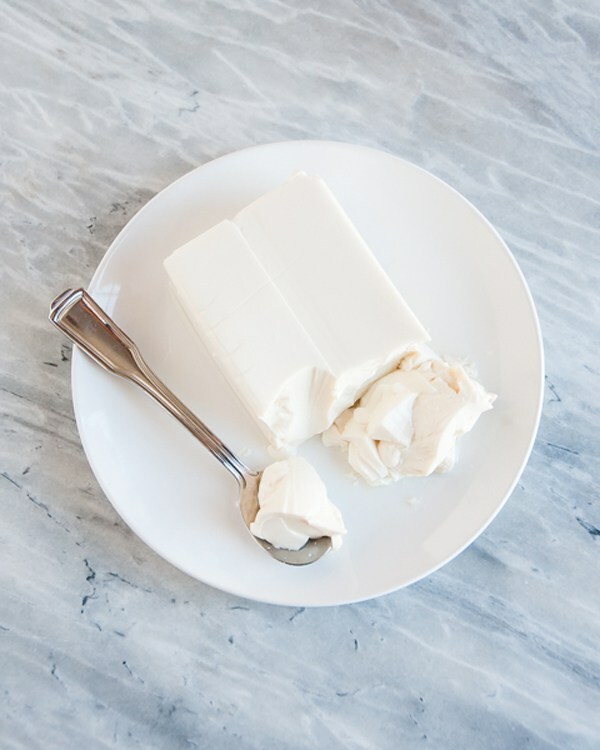 Tofu boasts a seriously impressive report card when it comes to nutritional value. It’s an excellent source of protein and all 8 amino acids. It contains iron, calcium, magnesium, copper, zinc, and Vitamin B. Um, can you already feel that goodness melting into your skin? I’ve made a few quick tofu masks to get you started. The possibilities are endless but here is the basic formula I use: silken tofu+ exfoliant + liquid + add in. Depending on your particular skin concerns, you can skip the exfoliant, you can double up on the liquid, or you can leave out the add in. Seriously, the combinations are totally up to you! There are no steadfast rules when it comes to the amount of each ingredient you use. 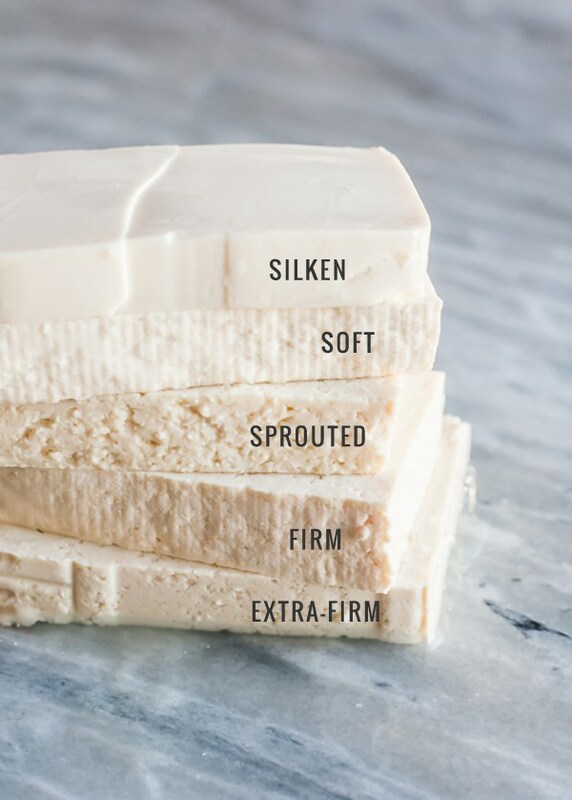 I usually just eyeball it, but my closest guess is that I’m using about 3-6 tablespoons of silken tofu, with about 1-2 teaspoons each of my exfoliant and my liquid. I top it off with no more than a couple of drops of essential oil, or a pinch of fresh herbs and spices. Don’t be afraid to experiment! This is the softest tofu of the bunch. Just make sure that there are no added preservatives and you’re good to go. To add a little moisturizer into the mix, the liquid you use can be anything from honey to olive oil, to coconut milk. Whatever floats your boat and targets your specific skin care needs. I like to use a little bit of yogurt and a little bit of honey as my liquid, a good combination for acne prone and sensitive skin. This is the fun part! You can go crazy here with essential oils, fresh herbs and spices, and even chocolate. I am so excited about this recipe! I never have to waste another half eaten container of silken tofu again! I absolutely love the way this mask feels. I promise you will too!